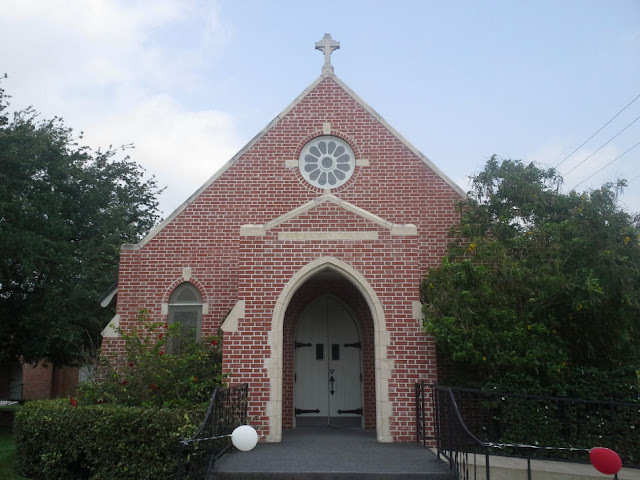 *August 17th - FIRST ANNUAL San Benito Community Spaghetti-Fest, Saturday, August 17, 4 P.M. ‘til 8 P.M. Please be sure to read the news and events section for more details. *June 2nd - We would all like to wish Rev. Sandra and David a safe trip! "O God, our heavenly father, whose glory fills the whole creation, and whose presence we find wherever we go; Preserve those who travel, in particular Rev. Sandra and David Dower; surround them with your loving care; protect them from every danger; and bring them in safety to their journey's end; through Jesus Christ our Lord. Amen"
*Please be sure to read the new and events page for the latest information regarding events at All Saints. If you have an event you would like added, please contact Mary Miller.